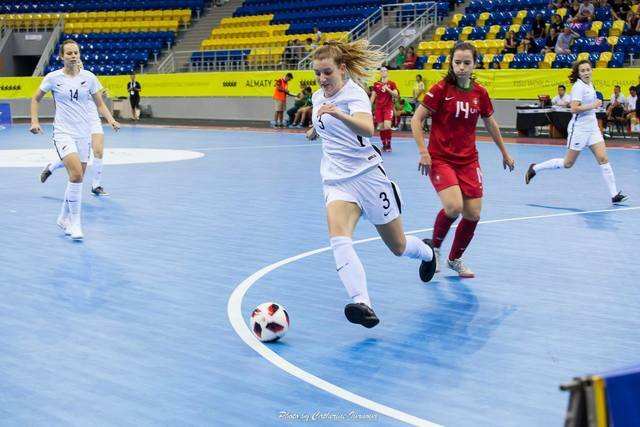 UTSNZ is the New Zealand affiliate of the International University Sports Federation (FISU). This allows university athletes to represent NZ at the World University Games and individual sports’ World University Championships. The UTSNZ National Tertiary Championship events are a pathway for competitors to be selected for international honours. NSOs can also nominate elite student athletes for competition where no national UTSNZ selection event exists in that sport. The World University Games is held by FISU every two years. The Games, also known as the Summer Universiade, draw many thousands of student-athletes together to compete under their nation's banner, making it one of the largest multi-sport events in the world (second only to the Olympic Games). In 2017 in Taipei for example, 10,000+ athletes and officials took part and over 130 countries were represented. 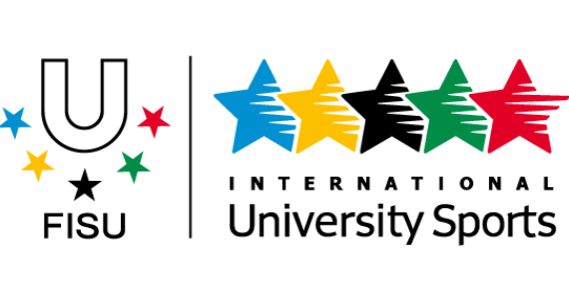 UTSNZ will again be facilitating entry of New Zealand’s top student-athletes in this competition (also known as the World University Games) to be held in Napoli, Italy. The 2019 sports include; Archery, Artistic Gymnastics, Athletics, Basketball, Diving, Fencing, Football, Judo, Rhythmic Gymnastics, Swimming, Table Tennis, Taekwondo, Tennis, Volleyball, Waterpolo, Rugby 7’s, Sailing and Shooting Sport. Specific event categories can be found here. All entries into the WUG are coordinated through UTSNZ. An interested National Sporting Organisation should complete an Expression of Interest by the June of the year before. Please contact Sarah Anderson if you wish to discuss. Over 30 Championship events are held in various destinations. From Badminton and Beach Volleyball to Triathlon and Wrestling, there are a number of sports being contested by top student-athletes from around the globe. The Championships are held every two years and students represent their country at this level. Of the 49 student-athletes that took part against the world's best, four took out a medal. See the NZ results here. In a new pathway format, FISU Leagues allow student-athletes to compete for their university teams rather than for national teams at an international level. This is currently operating for 3x3 Basketball, Football and Sevens codes. In 2018, New Zealand will be represented at the 3x3 Basketball WUL in November. FISU and UTSNZ International Eligibility Requirements can be found here. In addition to FISU and UTSNZ requirements, NZ national sporting organisations (NSO) will have their own selection criteria for international world university events. It is important for individuals to note that while the entry goes through UTSNZ, it must be endorsed by the relevant NSO. For World University Championships, NSOs can complete and submit an Expression of Interest form by the July of the preceding year (eg, July 2019 for a 2020 Championship). 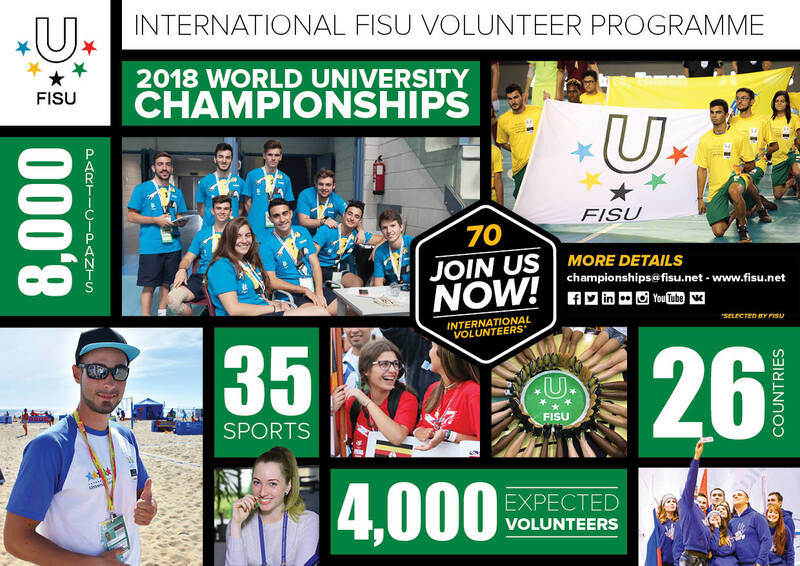 New Zealand university students can apply to be a volunteer at the FISU World University Championships. FISU will cover their accommodation, local transport and full board. It is a unique global experience a student can put on their cv, and allows them to make contacts in the international sport community. The Championship events occur every two years. A complete list of sports played are here.